A two-tier tiffin style bento box stack for all your packed lunch needs. 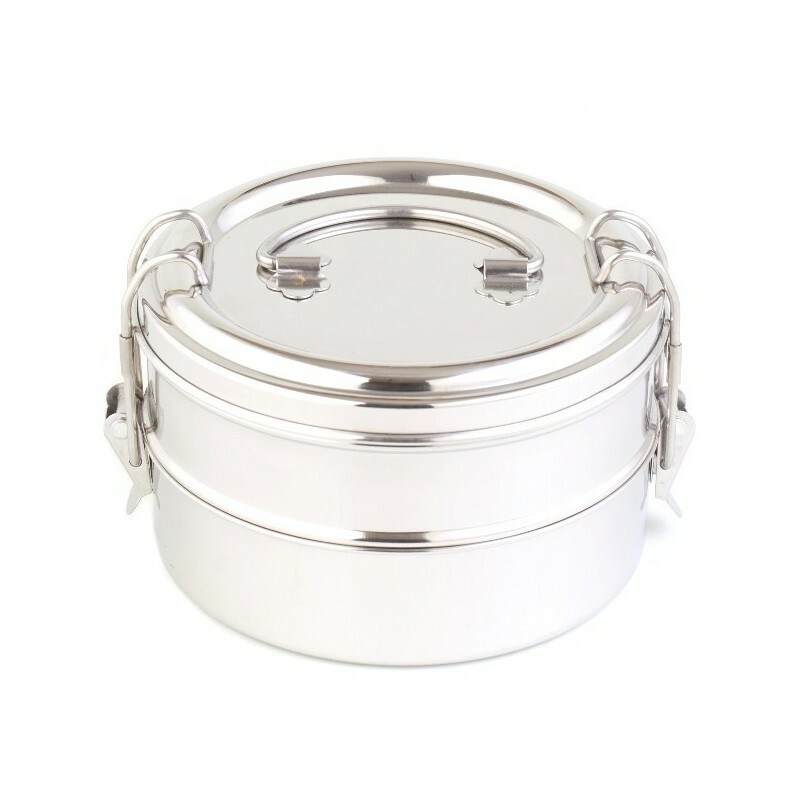 Made from 201 food grade stainless steel with a strong clamp closure. While not completely leak-proof, the clamp pressure ensures a very tight seal. 900ml top layer and 500ml bottom layer for a 1400ml carrying capacity. 100% Stainless steel, reusable, hygienic, durable, recyclable and will never leach harmful toxins. 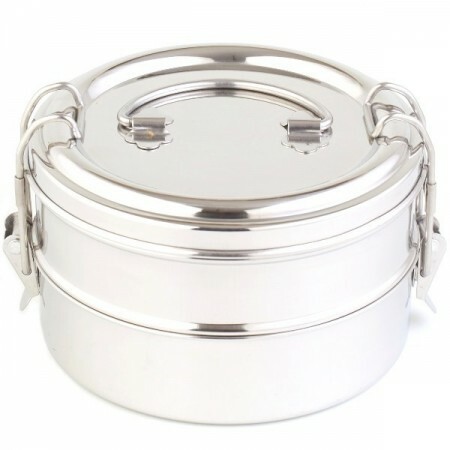 Manufactured with 100% 201 food grade stainless steel, BPA-free, vinyl-free, PVC-free and lead-free. Easily pack and stack perfectly portioned meals. No plastic or silicone parts. 100% 201 food grade stainless steel. Complete - 1400ml volume, 12.5cm diameter x 11.5cm tall. Top Layer - 900ml volume, 6cm high. Bottom Layer - 500ml volume, 4.5cm high (1cm unusable where the next layer nests in to place). Note: Not insulated, not for use in microwave. Not recommended for use in ovens.